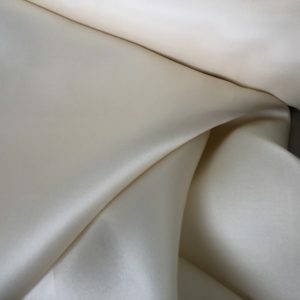 Organza Jacquard, a lifted geometric pattern in Blush Pink with a great luster, on a White organza. Semi-sheer with texture and depth to it, drape – more so than your average organza. 100% Polyester. Stunning quality, 57″ wide. Perfect for a gown, top, jacket, dress or skirt.